During a one-day check, this listing had been on the market for 208 days on Zillow, 209 days on Trulia, 285 days on StreetEasy, 342 days on the New York Times, and 343 days on Realtor.com. Brick Underground took a look at StreetEasy, Realtor.com, and Trulia (and tried to get responses from others) to find out how they track the days on market and found that there isn't a single site that can give you a complete picture, not only because they use different tracking methods, but also because brokers may list their properties on different sites at different times. You have to be savvy and do your due diligence of reviewing multiple sites to find the real story of an apartment's history. “We track days on market from the day the listing is created and posted live on StreetEasy to its ‘in contract’ date. A listing has to be off the market for at least 90 consecutive days to be considered a new listing,” says Casey Roberts, a communications manager for StreetEasy. Realtor.com’s counter works a little differently. It starts when a data source (broker, real estate board, or MLS) provides a new listing to the site. It ends when the listing is no longer for sale, according to a company spokesperson. If the listing is pulled for a few days and comes back under the same listing number (the ID that it is assigned when it is new), it does not restart the clock. But if a listing gets a new ID, then the counter starts over again. How a property gets its listing number is handled by the data source for the third parties, and those rules can differ by market, explained a Realtor.com spokesperson. 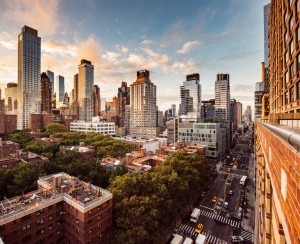 For instance, for the New York State MLS: If anything changes about a property or the offering, it is considered a different listing and gets a new ID number, says Dawn Pfaff, president of the New York State MLS, which feeds its listings to dozens of third-party sites, including Zillow, Trulia, Realtor.com, and Homes.com. 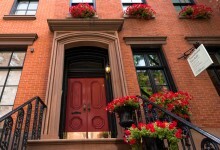 For the listing service for the Real Estate Board of New York (REBNY), which focuses on New York City properties, a listing’s days on market counter will be reset if the property has been sold and closed, or if it has been taken off the market for 90 consecutive days, according to its RLS Universal Co-Brokerage Agreement Rules and Regulations. Brokers and agents cannot circumvent this calculation by attempting to re-name or re-list the listing, says Neil B. Garfinkel, REBNY broker counsel and partner at Abrams Garfinkel Margolis Bergson. However, a listing can get its counter reset if a listing agreement expires, or is terminated, and a new firm picks it up. Then it is technically a new listing and would get a new ID number. 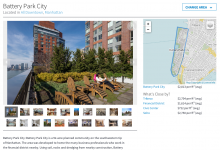 REBNY’s RLS feeds into dozens of listings sites as well, including The New York Times, Realtor.com, and HomeFinder.com, but it does not feed into Trulia or Zillow, and neither NYSMLS nor REBNY’s RLS feed into StreetEasy, which is one of the top sites for searching New York City real estate, and is owned by Zillow. Zillow and The New York Times real estate listings site did not respond to requests for comment. Even though there are measures in place to try to stop the manipulation of data on listing sites, there are ways brokers try to get around it, and it’s good for you to be aware of what they are. Brokers said that changing the price or updating the description doesn’t affect the days on the market counters, but it will refresh the listing in the system and have it appear higher up in search results. A few also said that some brokers will try to trick the system by relisting an apartment with its numbers reversed, such as apartment A5 instead of a prior listing where it was apartment 5A. The same goes for addresses, e.g., Fifth Avenue versus 5th Avenue. Similarly, a broker might relist an apartment using its location in the building instead of its number. One broker said they had another method for skirting the days on market counters, but refused to share it, even off the record, for fear it would get out. 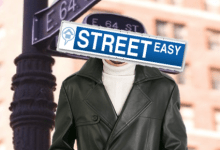 StreetEasy is actually one place to check that could help you determine if there's been attempted manipulation of the days on market counter. Type in the building address in the search bar, click on the page for the building, then scroll down to the “Units” section. Choose “All Units,” then look for any inconsistencies in how an apartment is listed. This will show you both past sales and rentals, and whether any apartments may have been listed differently but represent the same unit. One apartment Brick found where this might be the case is 100 West 58th St., #9FN. 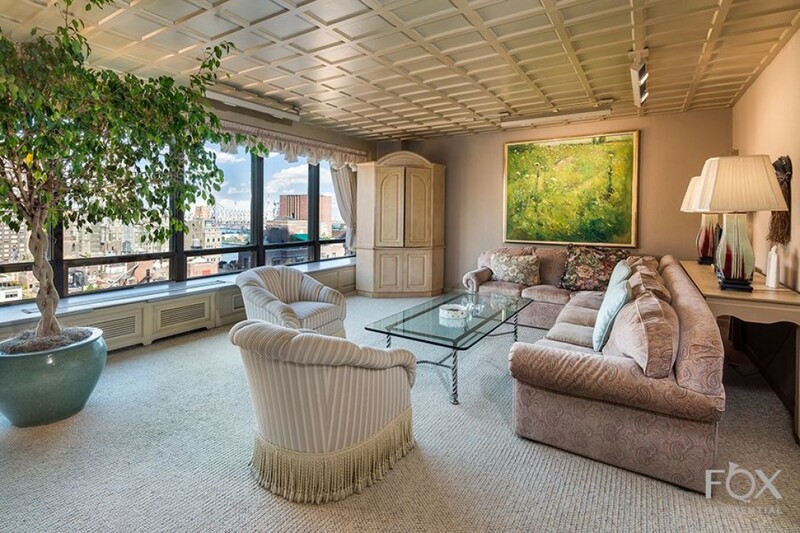 As of September 9th, it was listed as being on the market for five days on StreetEasy. But if you look at the listings for the building, you'll see one for #9F that had been on the market for 345 days until it was taken off the market less than two weeks ago. Both apartments have the same photos, the same square footage (it's technically off by one foot), and the same floorplan. The price for #9FN is $46,000 less than for the listing for #9F. So what does this mean for buyers? To get a better idea of just how long a property has been on the market, you need to review both the days on market counter as well as the history section for whichever third-party listing site you prefer to use. Depending on the site, you should be able to see the changes to a listing, including any price increases or decreases, de-listings, re-listings, new broker representation, if it was in contract, and previous sales. For StreetEasy, Trulia, and Zillow, this information is at the bottom of the listing under Price History. For Realtor.com, it’s under Property History. The NY Times provides only how long the property has currently been on the market; instead of history for a specific place, it shows how prices have changed over time, the average a home is on the market, and the number of listings for sale for that listing’s neighborhood. But even when taking each sites' rules into account and the history, sometimes the counters just don't add up. For the example in our photo, at the time of writing, 860 United National Plaza, #22D, the counters on five different sites showed five different lengths of time it has been on the market, from 208 days to 343. This could be because the broker decided to list it at different times on each site. But if you review the history, you get a fuller picture. For Trulia and Zillow, the counters start when it was listed in March. For the New York Times and Realtor.com, its listing date goes back to the end of September 2017. But using StreetEasy, you'll see it was first listed September 27th, 2017, but then it went into contract on March 7th. The deal didn't go through, and it came back on the market at a lower price point on May 4th. And yet its days on market counter say 285, which doesn't make sense using any of the three dates. 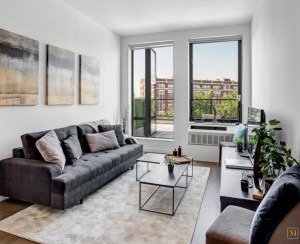 The lesson here is to not only review the history of a listing, but also check for that same listing on multiple sites to get a more robust picture of just how long that apartment has been on the market.